Are you looking for a traveling companion that lets you listen to whatever podcast you want or kind of music you prefer? How about one that doesn’t ask, “are we there yet?” You may not have considered it before, but traveling with your pet is a great way to bond and see the world through new eyes. However, not all four-legged friends are ready for a long vacation. 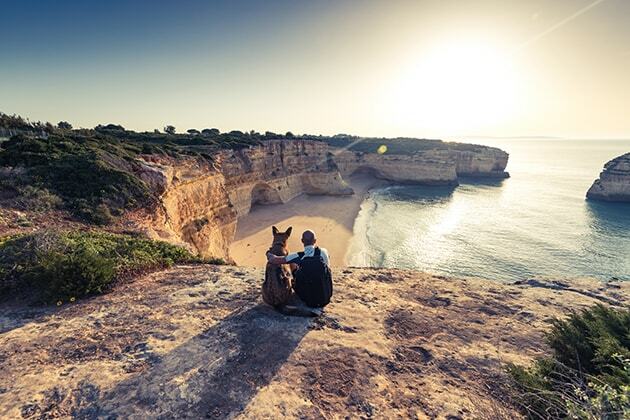 There are some things that you should consider before you plan your trip with your furry friend, including pet travel insurance. First, when deciding if you should bring Fido with you, consider his temperament. Can he be contained in a small space for long periods of time? Is she laid-back or a nervous Nellie? If your mode of transportation includes other people (think airplane versus your car), make sure your pet is socialized and people-friendly. 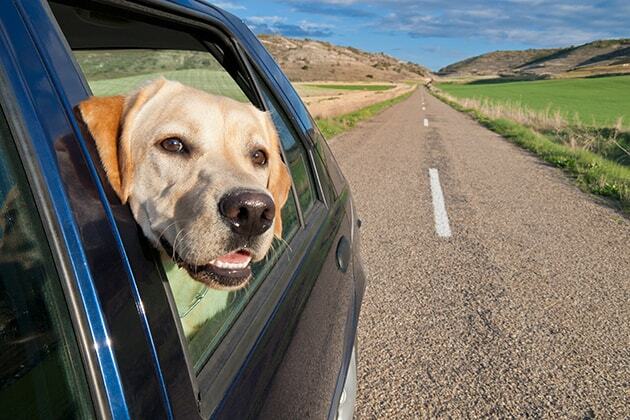 If you want to take a road trip, consider going on some short trips first to help your pet get used to the idea. Before you hit the road, make sure you have taken your pet to the vet recently. You may want to have your animal microchipped if they are not already so that you can be reunited as quickly as possible in case they get away from you. They will need to be up-to-date on their vaccines and current with their flea, tick, and heartworm preventative medication. Moreover, animals can get car sick too. Consult with your vet, so you have remedies on hand. You’ll also want to prepare ahead of time for possible allergic reactions and even diarrhea. Whenever you travel more than 100 miles from home, it is recommended that you buy travel insurance for yourself in order to help protect you if your vacation plans change and for coverage for medical emergencies that occur outside of your health insurance network. But what about your pet? Is there such a thing as pet travel insurance? Does Travel Insurance Cover My Pet? Arch RoamRight does not offer pet travel insurance policies, nor can you cover your pet as a traveling companion or purchase an individual travel insurance policy for your pet. While Arch RoamRight has a broad definition of “family members” as it relates to your covered reasons for cancellation, pets are not included in this definition. If an illness or injury suffered by your pet would prevent you from going on a trip, it is recommended that you purchase the Cancel for Any Reason upgrade which allows you to cancel your trip for any reason up to 48 hours before your scheduled departure date. Does Pet Insurance Cover My Pet During My Travels? Like travel insurance, pet insurance coverages vary plan by plan and company to company. 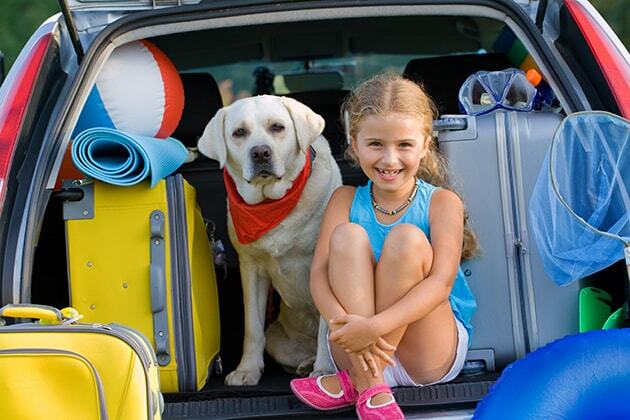 Many pet insurance plans provides coverage for medical emergencies suffered by your pet when traveling domestically. Others offer this coverage as an add-on. You should consult with your pet insurance provider to confirm if your insurance covers you and your pet during domestic travels. 4Paws Pet Insurance* may provide coverage for the medical emergencies suffered during domestic travel, including travel to U.S. territories. There may also be coverage to Canada, as well. It is best to check with your provider for eligibility. A pet insurance policy from 4Paws Pet Insurance can provide coverage for expenses related to vet visits, surgeries, emergency room visits, and more. You may be eligible for a 10% discount on your first pet insurance purchase from 4Paws Pet Insurance (not applicable in all states). *Arch Insurance Company is the underwriter for both 4Paws Pet Insurance and Arch RoamRight travel insurance. Coverage not available in all states. Discounts are subject to regulatory requirements. Consider the basics and what will make them comfortable on the ride. In the end, you’ll also be more comfortable! Bring a supply of your pet’s food and treats. You may not be able to find the same brand at your destination. Bring bottled water, and make sure you have a water dish; a collapsible water dish is handy. A spill-proof one is a good choice. Plan for bathroom breaks. It’s just like traveling with kids. Take a break so you and your pet can stretch your legs. You will need waste bags or if you prefer, a pooper scooper. Always seek out well-lit areas that are away from traffic, for safety. For the cat companion, make sure you bring either a disposable litter box or a litter box, with extra litter, scooper and disposable bags. Bring your pet’s medications and supplements. Have a first aid kit geared toward pet accidents and illnesses, including pet insect repellent and sunscreen. Help your pet feel at home. Pack their bed, blanket (if they have one) and their favorite toys for comfort. Remember to bring old towels, paper towels and cleaner for muddy paws. Travel insurance for the human. Consider pet insurance, such as 4Paws Pet Insurance. With the right plan, you can be covered for any unexpected accidents or illnesses. Eligible veterinary expenses can be related to vet visits, surgeries, hospitalization, X-rays, emergency room visits, and even prescription medications. Get a quote at https://getstarted.4pawsins.com. What Should I Do If I Am Not Taking My Pet? If you decide your pet is not the traveling type, you should still make sure you have pet insurance coverage, no matter if you are kenneling or leaving them with a sitter. There is some forward planning required if you plan on putting your dog up in a kennel while you travel. Many kennels require certain vaccinations and may also even require a test day or night where your pet stays with them to become more comfortable. If you are leaving your pet with a sitter, you should ensure they have all the care instructions and emergency contact information they need.